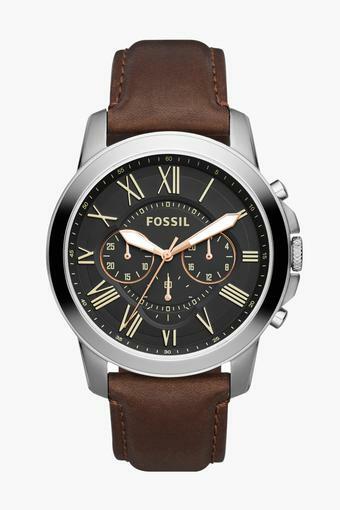 Stylish and elegant, this unique chronograph watch from Fossil makes a closet essential. Its features a leather strapped watch which is perfect for a casual look. The leather strap provides you firm grip and easily fits on your wrist. Keep it uber-classy with this chronograph watch from Fossil and add this classy watch in your collection. It has 2 years of warranty time period and it is highly durable.